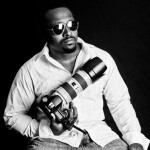 Ar’Shaun Johnson discovered his passion for photography while taking pictures to help a friend promote his club in 2004. As he began to explore his new-found talent, he realized he held a unique ability to capture his subjects’ natural essence in the photos he took. Candid photography is his chosen specialty but he also enjoys shooting landscapes and nature scenes and prefers to describe himself as an all-around photographer. Most recently, he has been perfecting his lighting skills by shooting more portraits and weddings. Ar’Shaun was born and raised in Connecticut. He currently works full time as an executive desktop technician and also manages his own photography business. He purchased his first SLR in 2005.